As news of their split rocked the masses, fans couldn’t help but wonder what had happened to cause their divorce. Had one of them been unfaithful? Had they simply fallen out of love? Rumors started to circulate the world of Hollywood, and Alicia and Christopher were quick to dispel any of these. They both released a joint statement that confirmed that they still loved each other and were still good friends, but that they had decided that parting ways would be the best option for them at that moment in time. Of course, any married couple needs a valid reason to divorce – and it’s been confirmed that Alicia filed for irreconcilable differences. Despite this, they wanted to work together to ensure that their divorce was as clean and as quick as possible. They didn’t want to dispute any of their belongings or their assets. They simply wanted to split everything evenly between them, and even share custody of their son. They were going to continue to raise him as a family unit, even though his mom and dad were no longer together. Throughout their relationship, Alicia and Christopher had racked up a huge number of fans who loved their little family. Because of this, they were incredibly upset when their marriage came to an end. The press were also all over their story. They picked apart every aspect of their marriage and their divorce to find hints of neglect or infidelity, and the media coverage was intense. Because of this, Alicia decided to retreat from the limelight and go to Hawaii with her son. She just wanted a bit of peace and quiet. As the media continued to speculate about their marriage and divorce, many began to wonder whether Alicia’s bizarre behavior had contributed to the breakdown of their relationship. Although Alicia has made no secret of the fact that she is incredibly passionate about animals, the environment, and her views on society, many believe it was all too much for Christopher. In fact, there is even speculation that he didn’t agree with her parenting skills. After all, Alicia has been incredibly open about her thoughts on parenting in the past. 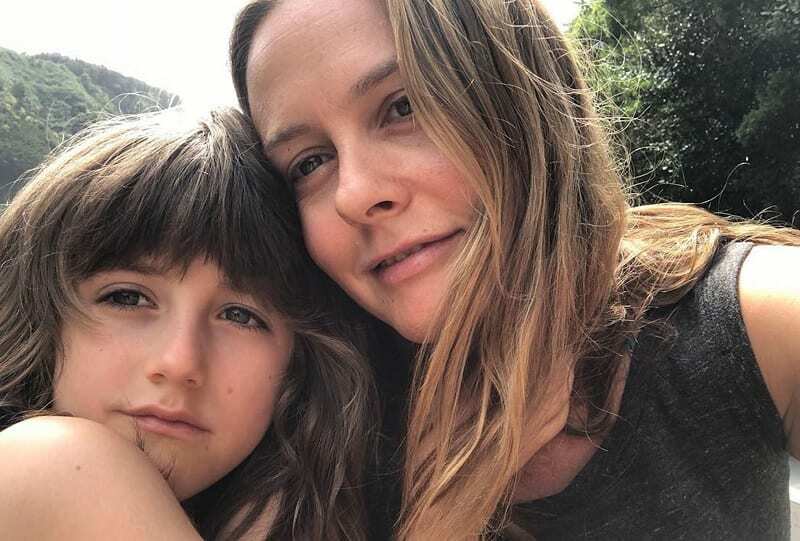 After welcoming her son into the world, Alicia decided to shed a little light on her parenting skills and her thoughts on society within her book. She called this book ‘The Kind Mama: A Simple Guide to Supercharged Fertility, a Radiant Pregnancy, a Sweeter Birth, and a Healthier, More Beautiful Beginning.’ Although many fans were excited to see what their favorite actress had to say on pregnancy and children, many were immediately struck by how bizarre her opinions on these matters were. In fact, it soon became hugely controversial. When Alicia and Christopher first met, they were both impressed with each other’s stance on meat production and the food industry as a whole. Because of this, they vowed to live a vegan lifestyle – and this is something Alicia has stuck by ever since. However, she had a few words of advice for expectant mothers in her book. Within the pages of this non-fiction piece, she noted that the only way to ensure the health and wellbeing of your child is to maintain a vegan lifestyle that is also 100% organic. Yes, Alicia believes that all mothers should live a vegan lifestyle to provide the best start for their children, but her ideas don’t stop there. Silverstone also believes that babies should never wear diapers. She has not gone into detail about her reasoning for this bizarre rule, but she tried to maintain this train of thought for her own child when he was younger. She believes that all parents should simply take their child to the toilet whenever they have to do their business instead of wearing diapers. Alicia and Christopher’s wedding day was definitely one to go down in history, and it seems as though these two former lovebirds just couldn’t keep their hands off each other. During one interview, Alicia noted that she couldn’t wait to get her hands on her new husband as they were exchanging their vows. All she wanted to do was grab his face and seal their new life with a kiss, and she had a hard time holding herself back. When she finally got her chance, she said it was the most incredible moment of her life. Throughout the course of their marriage, Alicia and Christopher had very specific ways of raising their son. They wanted him to be raised in a healthy and happy environment, and they planned to do everything they could to ensure that happened. Because of this, Alicia made sure that they were largely a “no movies and TV family.” She rarely allowed her child to watch any form of television or films, and still tries to raise Bear without these influences. However, she has become more lenient since. In fact, Alicia has been keeping herself incredibly busy with work since parting ways with her former husband. She has made her dramatic entrance back into the world of Hollywood and put her acting talents to good use once again. She is currently starring as the lead character in a brand new comedy television show by the name of American Woman. In this show, she plays an unconventional mother who leaves her husband in search of her independence. This role sounds strikingly familiar to her own life, which means it’s perfect for her. 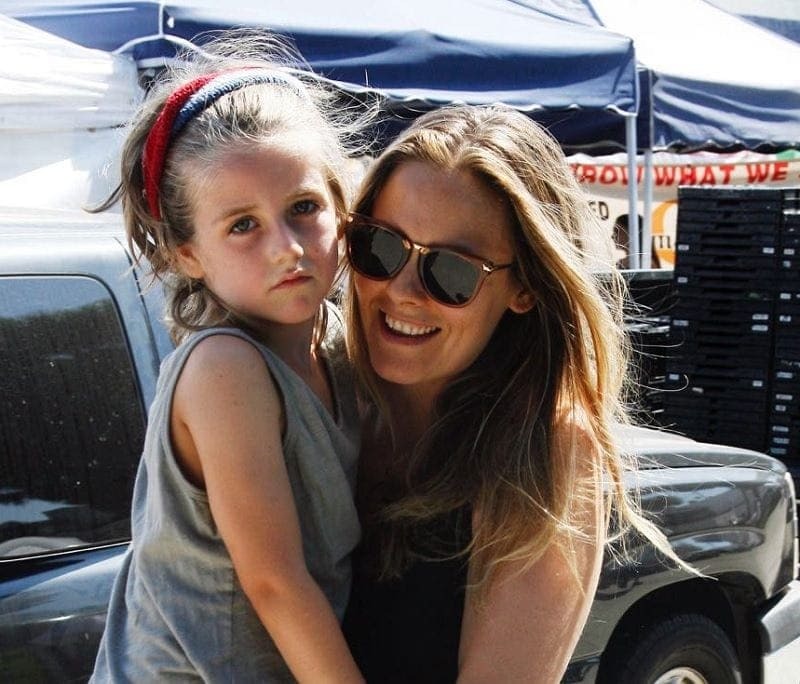 As if that wasn’t cool enough, Alicia Silverstone has also come back with a bang and appeared alongside some of the greatest female actresses of all time for a new movie role. In May 2018, she showed off her talents when she took on a small role in Book Club; a romantic comedy. This movie stars the likes of Diane Keaton, Jane Fonda, Candice Bergen, and Mary Steenburgen, and marked Alicia’s first foray back into Hollywood as a single woman with no marital ties. 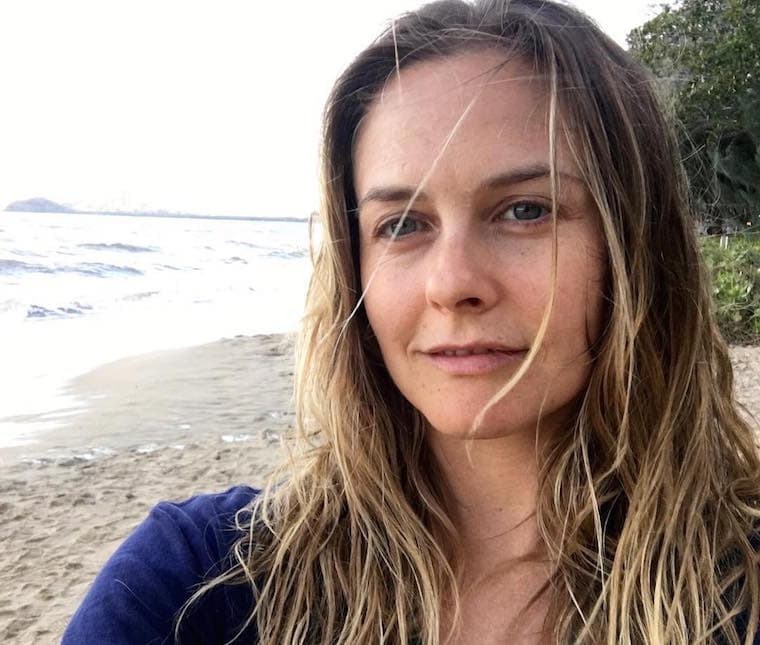 Since making her way into the limelight, Alicia Silverstone’s healthy ways have become the talk of the town. It’s believed that she cured her acne with her vegan lifestyle, and her physique has always been linked to her healthy way of life. Thanks to this, she has been able to team up with major players in the health game to create her own line of supplements and natural aids. In September 2018, she released her own line of vegan and herbal supplements with mykind Organics Herbals that are now ready to buy. 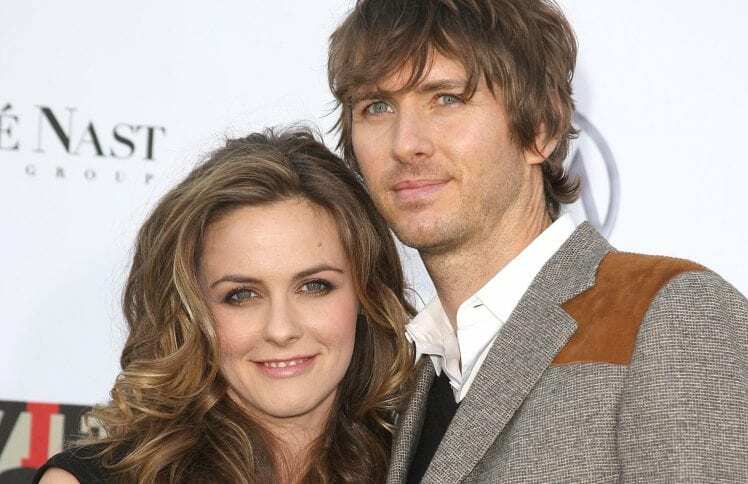 Now that she is single and ready to mingle, fans are constantly on the lookout for new rumors surrounding Alicia Silverstone and Christopher Jarecki. Although many people are still upset that they are no longer together, they want the two stars to be happy. Because of this, they want them to move on from this relationship and find new people that they can love and care for. At the moment, it seems as though there are no new people on the horizon, but anything can happen in the world of show business. The year was 1997, and Alicia Silverstone was one of the most famous women in Hollywood. She had won us all over with her iconic roles in teen movies such as Clueless and The Crush, and she was attending every high-profile party and red carpet event going. She was the ultimate celebrity and she was rightfully lapping it up. It’s safe to say that her life had changed dramatically, but she had no idea that it was going to change even more. After all, it was this year that she met the man who would later become her husband. While waiting outside of a movie theater in Hollywood, Alicia bumped into a punk rocker by the name of Christopher Jarecki. As the lead singer of the popular band, S.T.U.N., Christopher used his name and his voice to promote topics close to his heart. Within his music, he sang about socialism, class warfare, and anything else he felt he needed to fight for – so it should come as no surprise to learn that Alicia was intrigued. Throughout her career, Alicia had made a name for herself as an activist. They seemed to be a match made in heaven. The pair were immediately drawn to each other, and they soon realized that they had more in common than they first thought. They were both incredibly passionate about their beliefs and their stance on society, but they also agreed on other matters. They were conscious of the environment, and they both lived entirely vegan lifestyles. Their relationship was progressing day by day, and they knew that they had something special. Because of this, it wasn’t long before Alicia asked Christopher to move into her purpose-built and eco-friendly house. Although they were madly in love, Alicia and Christopher were also best friends. This made their relationship incredibly easy because they knew that they could just be themselves around each other. After a beautiful eight years in the limelight together, Christopher eventually realized that it was time to make their love even more permanent. So, Christopher picked out the perfect ring, plucked up the courage to ask a very important question, and got down on one knee on their porch. Of course, Alicia didn’t even need to think about her answer. She said yes! Together, the couple planned every small detail of their wedding. They wanted to make their big day as environmentally friendly as possible and wanted to be surrounded by nature. To do this, they tied the knot by the side of Lake Tahoe and tried to incorporate this natural element into their decoration. They made their own candles out of beeswax, they used recycled cards to make their invitations, they used old bamboo to make their guests’ chairs, and their wedding bar was made from old barrels. Alicia and Christopher had attempted to make their wedding day as unconventional as possible. They wanted all of their guests to experience their everyday lives, so they tried to bring as much personality to the table as possible. They quite literally did this by lining their tables with apricots and onions and serving vegan food for their guests. As the evening drew in, they asked their guests to gather around a fire pit, sing songs, and dance the night away with the view of the lake in front of them. Fans of Alicia and Christopher loved to keep up to date with their family outings and their seemingly perfect existence – but it seems as though things weren’t quite as perfect behind closed doors. In fact, the couple shocked the world in 2016 when they decided to go their separate ways. By this point, they had been married for 11 years, and their son was 6 years old. The news was a shock to everyone, and we all wanted to know where things had gone wrong for the couple who seemed to have everything. Although the pair parted ways in 2016, they did not announce their news to the rest of the world until 2018. They wanted to maintain their privacy and keep their lives as normal as possible for the sake of their son. However, they couldn’t keep their secret quiet any longer, as they needed their divorce proceedings to go through. Just three weeks after Alicia and Christopher officially announced their separation, the paperwork went through. The lawyers had signed off on their divorce, and they were no longer married. Alongside this, Alicia has also made her thoughts on cribs pretty clear. As a mother herself, she learned that the best way to bond and look after your child is to have them by your side at all times – even when you’re sleeping. Because of this, she doesn’t believe that babies should sleep in separate cribs at night. When Bear Blu was a baby, he would sleep in the bed with Alicia and Christopher at all times. She believes that all parents should do this. 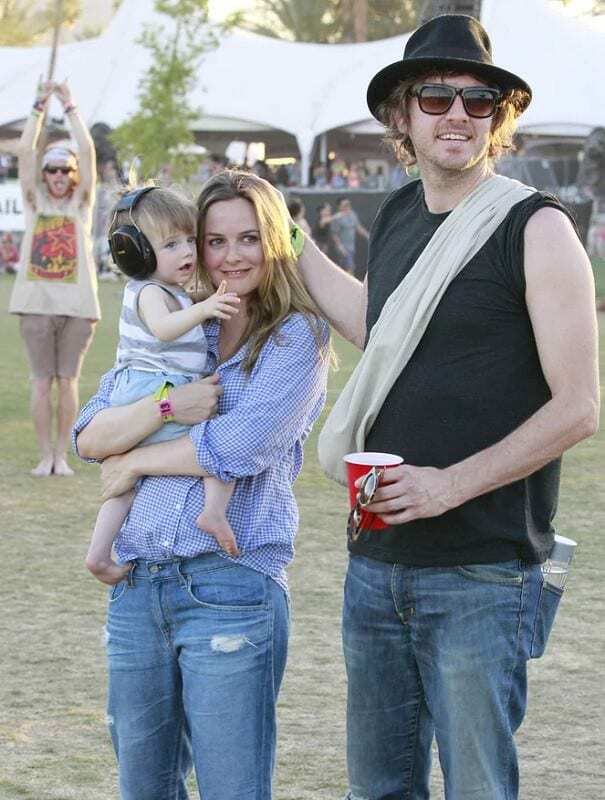 Thanks to all of her unique views and opinions, Alicia Silverstone has sparked debate over her parenting skills. However, the highest level of controversy came in 2012 when the actress uploaded a video to social media that showed her feeding her son. Instead of placing the spoon into his mouth and letting her son chew, Alicia put the food into her own mouth and then fed Bear like a bird. This video was instantly greeted with backlash, as many people thought that she was going too far with her parenting rules. Over the years, the media has been incredibly open about their views and opinions about Alicia Silverstone and her bizarre ways. Yet, one person has kept noticeably quiet throughout the whole process. Since their divorce, Christopher has shied away from the press and avoided any form of controversy that involves his ex-wife. He has yet to confirm whether this silence means that he agrees or disagrees with these parenting skills, or whether he just wants to be left out of the situation completely. Either way, he’s realized that silence is golden. Whether you agree or disagree with Alicia’s parenting skills and her thoughts on society, you can’t deny that she is standing incredibly strong. Divorce is difficult for all parties involved, but Alicia has managed to stay calm and collected throughout the whole process. She has also stood by what she believes in and avoided those who have negative things to say. She knows what works for her and her child, and she is going to continue living this life for as long as possible because that’s what she believes in. 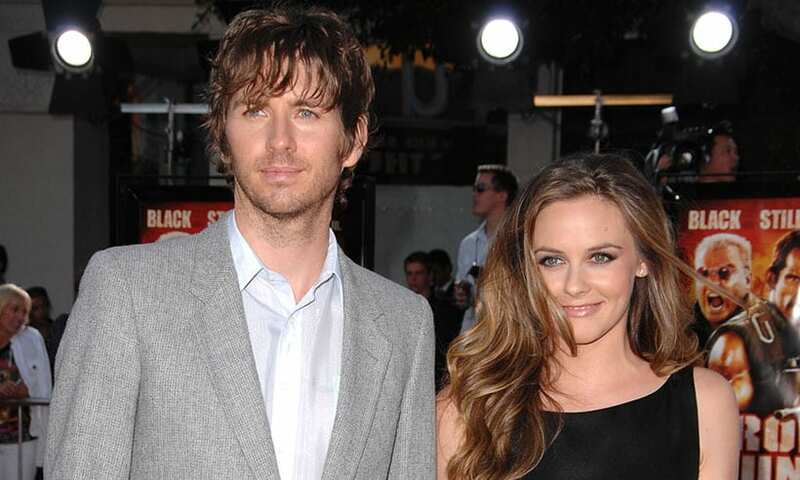 It’s no secret that the divorce of Alicia Silverstone and Chris Jarecki rocked the nation, but fans seem to have now bypassed the initial shock. Instead, they are more concerned for the welfare of their child. Thankfully, Christopher and Alicia are still friends for the sake of their son and are content with raising their family as a tight family unit. Their controversial parenting skills may have caused a rift between the two of them, but they’re not going to let it show. They’re making it work.